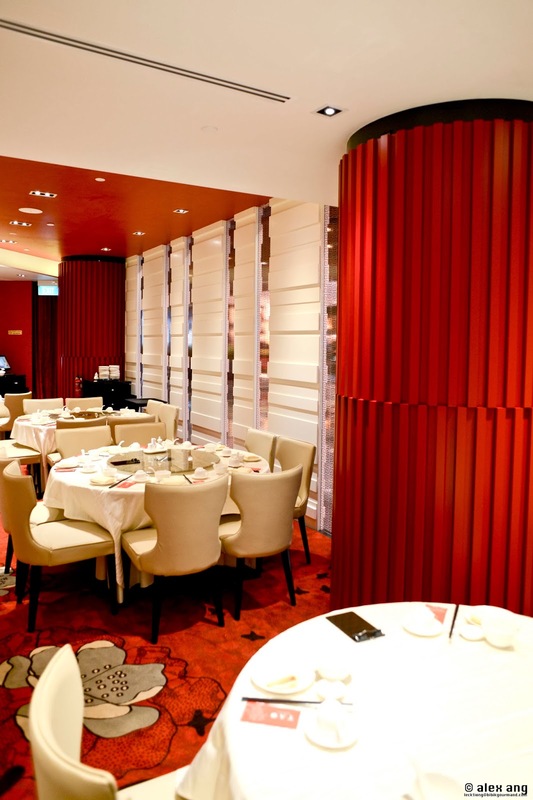 In Singapore’s oligopolistic world of fine Chinese dining, the rise of indie upscale Chinese restaurants is a comforting sight and the latest to challenge the old order is Tao Seafood Asia (“Tao”). 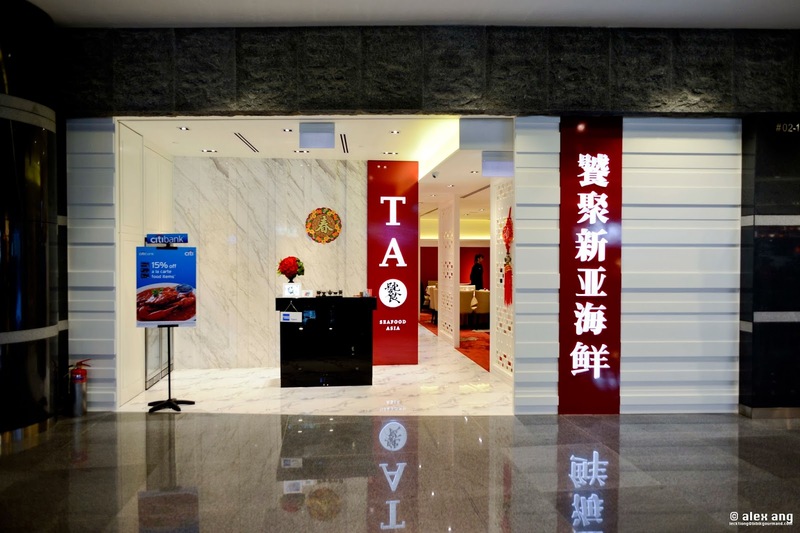 Owned and operated by Adrian Lee, a London School of Economics graduate who spent 5 years in Shanghai as General Manager of the Thai Village Restaurants group, Tao takes up residency at Food Garden @ Asia Square (a food court located on level 2 of Asia Square Tower 2), seating shoulder to shoulder with food court stalls like Soup Stock Tokyo and Ippudo Ramen Express. Notwithstanding its humble setting, Tao looks anything but modest. Dressed in a soothing palette of beige and red with thick carpets and a contemporary arrangement of banquette seats and upholstered chairs against tables blanketed in velvety linens, the 108-seat eatery has been looking all pomp and perky since it welcomed its first guests to the brightly-lit dining room (and 2 chandeliered private rooms) since early December 2013. Banking on his father’s experience as the founding chef of Klongtan Ping (circa 1989), a now-defunct stalwart of Thai-style sharksfin in Singapore, and more than 20 years of kitchen chops with a local restaurant chain, Lee has fashioned a menu of seafood classics prepared in both local and Thai-Chinese styles. 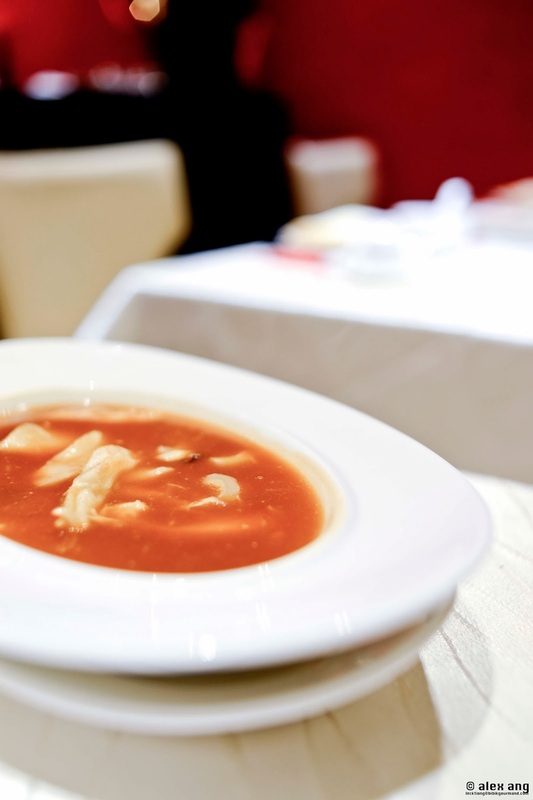 Though it’s no longer fashionable – or cool – to consume sharksfin soup, Tao fields deliciously generous combs of this delicacy with crabmeat (S$68) in a thick and savoury broth alongside an optional serving of raw beansprouts and Chinese parsley. 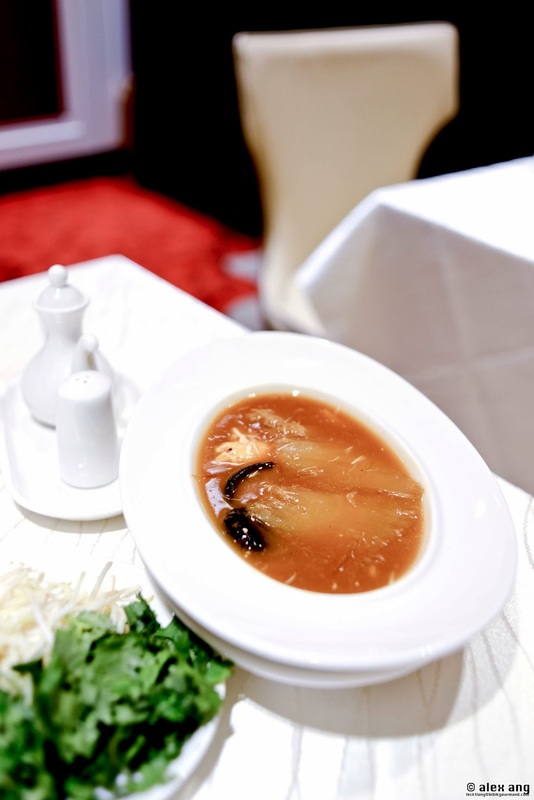 If you choose to say no to fins, the fish maw soup (S$68) is also first rate for the generous helpings of springy fish maw basking in an equally wholesome stock – both are served in an oversized oval-shaped bowl big enough for two. Hankering for a taste of Singapore? Order the black pepper crab! 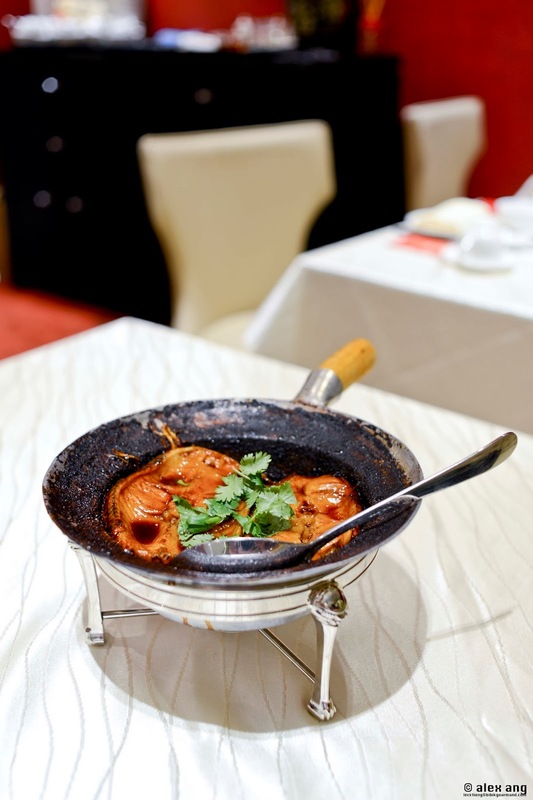 Like most Chinese eateries, Tao serves garden-variety live seafood like fish, prawns, lobster and different types of clams cooked to your preference (either steamed, stir-fried, poached, deep-fried or sashimi-style). 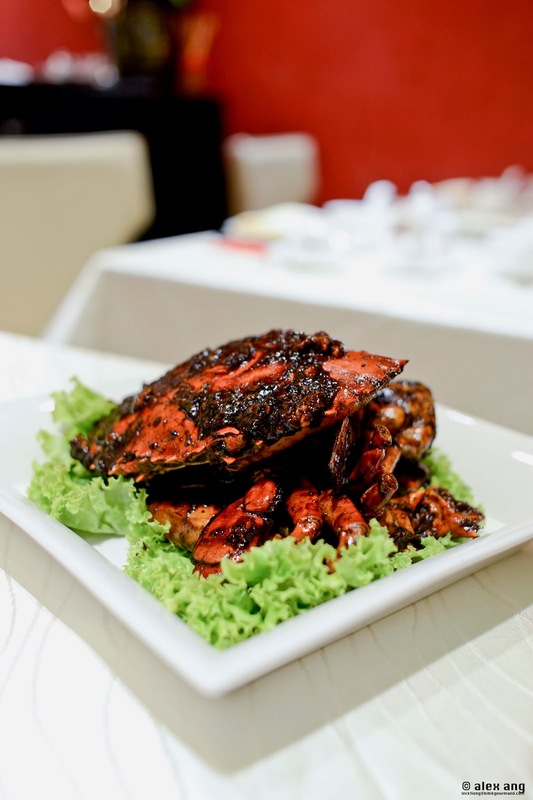 Not surprisingly, there’s also lip-smacking black pepper Sri Lankan crab and tongue-searing chilli crab (both S$6 per 100g) for those who are hankering for a taste of Singapore. But you haven’t been to Tao if you haven’t tried its pot-roasted specialties. Yes, pot-roasted crab with glass noodles (S$45) that rose to fame during Klongtan Ping’s heydays is making a comeback at Tao. Try the lush and homey pot-roasted codfish (S$38) served with lashings of whole garlic, coriander root and tiles of pork belly that will put its competitive Chinese-style codfish brethren to shame. 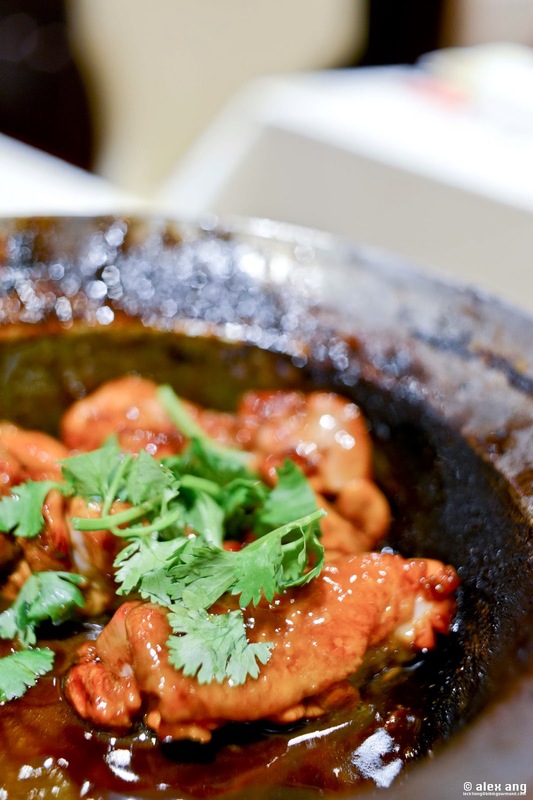 The pot-roasted chicken chunks caramelized in Hakka-style rice wine (S$20) also wins raves as much for its tender flesh as for the deep infusion of rice wine to yield a rustic-mellow flavour. While you may be tempted to bask in the rusticity of more pot-roasted goodness with an order of the pot-roasted sea prawns with glass noodles (S$32), we suggest the Thai-inspired curry jumbo prawn (S$18) for a change. 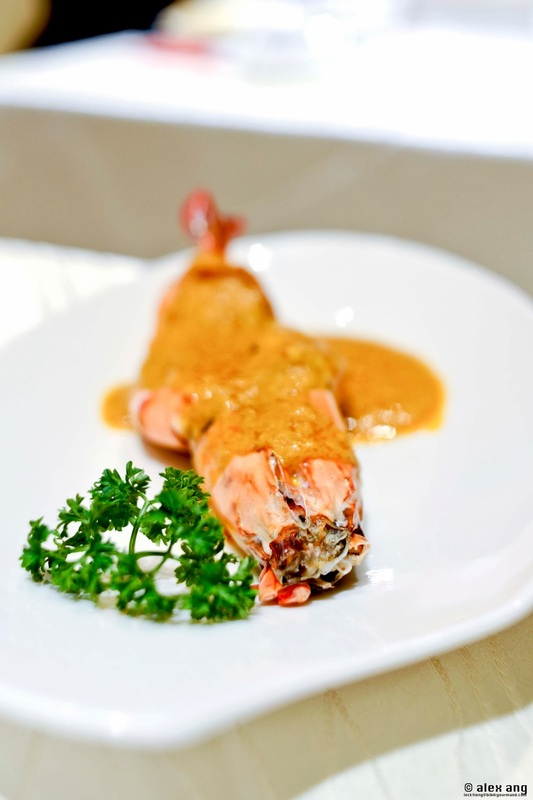 The individually served jumbo prawn crowned with a thick and creamy coconut milk-infused spice paste is a tad rich and not as saucy as the other gravy-endowed dishes but passes muster. Stewed rice vermicelli (S$24), a Tao signature, is redolent of our favourite hor fun dish but instead of flat rice noodles, the restaurant uses vermicelli (or bee hoon). 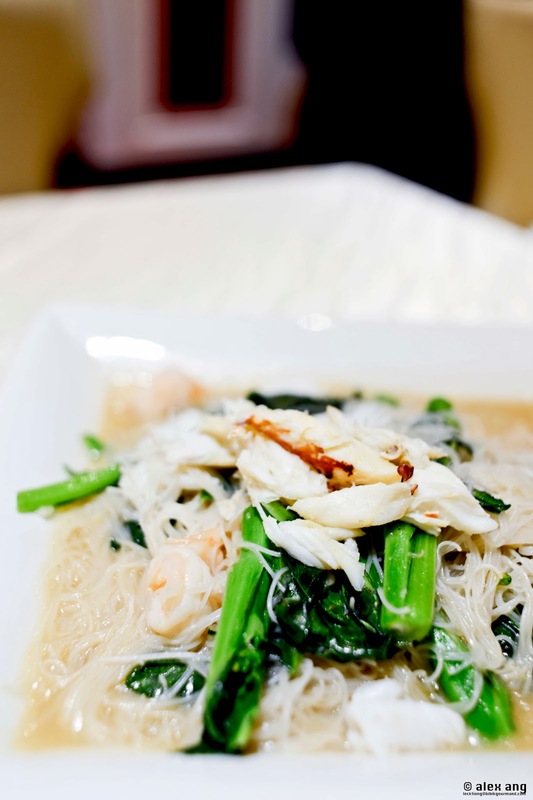 Served with prawns, crabmeat and squid steeped in a shallow broth, the savoury carb-load is well worth it. Contrary to what most might think, an excellent meal in Tao can be had without breaking the bank if only you know what to order. 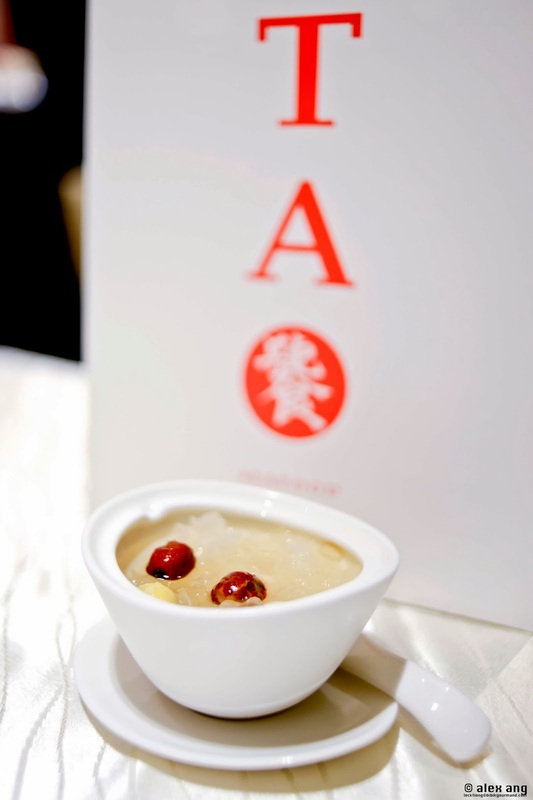 On that note, even though the dessert of double boiled bird’s nest (S$48) beckons with its anti-ageing claim, the bowl of snow fungus with red dates and gingko nuts (S$6) is an equally plausible alternative.